Browser notifications are the alert messages that are sent from the websites to your desktop or mobile devices that you’ve subscribed to receive them. It is used to stay update with the latest development and timely content that your favourite websites just posted. It worked similar to the mobile app push notification on your mobile device. But sometimes, having too many of these notifications can become quite annoying. Fortunately, the process of turning off these notifications is not hard. 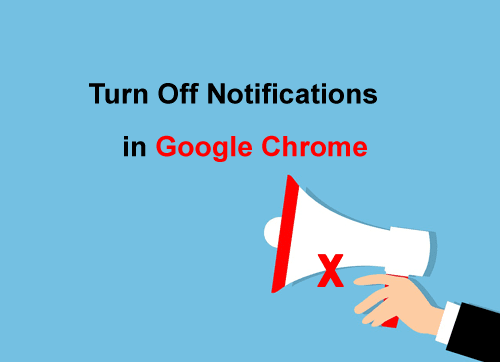 If you’re tired of rejecting the notification permissions on the web browser or would like to stop receiving these alert messages completely, you can follow the tutorial below on how to turn off notifications in Google Chrome browser. We’ll be covering the guides for Google Chrome Desktop and also Google Chrome Android. Run Google Chrome on your desktop computer. Then, click on the three vertical dots icon which is located at the top right of the window. Select Settings from the menu that appears. Scroll down and expand the Advanced link and click on the Content Settings. 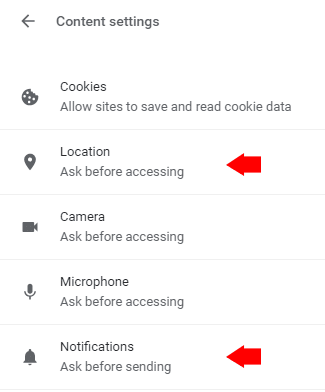 From the Google Chrome’s Content Settings, click on Locations and Notifications separately and toggle to set the mode to disabled. 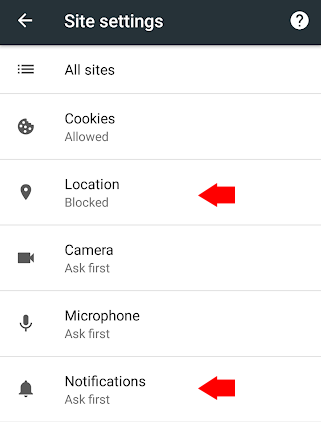 You can also turn off notifications in the Google Chrome on your Android devices. Open the Chrome browser on your Android device. Then, tap on the three vertical dots icon on the top right of the screen, scroll down and select Settings. Then, tap Site Settings under Advanced. Tap on location and notifications separately and toggle to switch off the notifications settings. Now, when you use your desktop computer or Android device, you will no longer receive these notification messages and also the request to send you notifications. If you find our guides useful or need help in turning off the notification settings, kindly leave your comment below.